Piano Credit Company (PCC) was originally founded in 1998 as National Piano Finance and Leasing Company (NPFL), based in Chagrin Falls, OH. An Ohio corporation, the company was formed by three shareholders of various backgrounds in the music industry including musical instrument manufacturing, piano industry consulting, and independent music retailers. The music retail finance landscape at the time was mostly managed by suppliers. Therefore, dealerships carrying multiple product lines were forced to use multiple finance products. NPFL was the first company to "welcome all brands" and "all dealers". Products included term loans with "industry competitive" interest rates and "easy to use" documentation. Founded by keyboard industry veterans, PCC employees are sensitive to the needs of today's keyboard dealers. We continually seek creative alternatives for financing keyboard products, but we also strive to maintain a level of consistency that can be counted on. 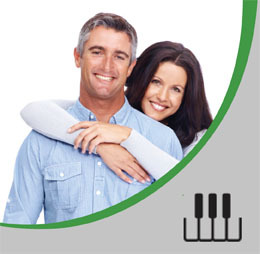 This commitment to the industry allows The Piano Credit Company to provide a service that you can't afford to be without. Piano Credit Company offers immediate access to submit and document consumer loan requests via our dealer website. Available 24/7, this website is directly in communication with our staff of underwriters for quick response times and communicating to our retailers an immediate response to a new loan request. The Company also offers a staffed underwriting contact center during regular hours of operation to further communicate with the retail customer and sales staff. Simplified financial options are readily available for your customers that cover all makes, sizes, brands, and age of keyboard musical instruments. Specialty finance services, such as "Same as Cash" are also available to all dealers. We can also provide additional on-site support staff for special outside sales events to assist with underwriting, paperwork, and supplies at your next sale! Dealerships require support to succeed. At PCC, every effort is made to recognize the need of each individual dealership. Our organization is eager to listen to financing needs, promotional ideas, or issues with our current level of service. Always feel free to let us know how we can improve our relationship with a Company or within the industry.